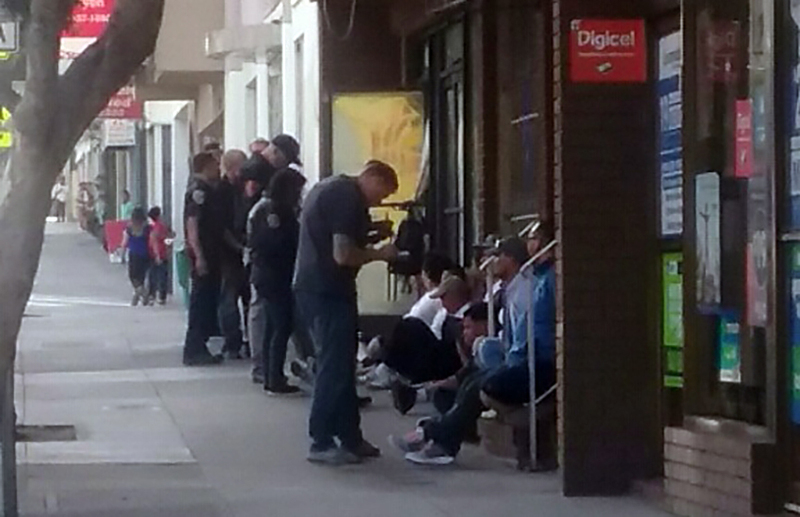 A group of men and women who were arrested in connection with an illegal gambling den earlier this month have each been charged with a felony and two misdemeanor counts, San Francisco District Attorney George Gascón announced Thursday. The defendants — Kenneth Gurriere, 56, Richard Mohler, 34, Malcolm Brian Vasquez, 49, and Marjorie Delacruz, 49 — have been charged with felony conspiracy for possessing and operating illegal gambling devices, as well as two misdemeanor counts of possessing and operating slot machines. All four pleaded not guilty during an arraignment Thursday morning. “There’s been an increase in these types of operations and our Crime Strategies Unit is responding by working collaboratively with police and other agencies to ensure these operators are held accountable,” District Attorney George Gascón said in a statement. During a raid Oct. 18, police arrested five people in connection with the den. Police also seized gambling equipment, money and drugs, as well as financial papers, schedules, money orders, a money counter, a money dispenser and property receipts. Earlier that week, police arrested two men in connection to the den in a motorhome that was often seen near the den. That day, police also seized large quantities of suspected meth. It is unclear which of the four people arraigned on Thursday were arrested during the Oct. 18 raid. In early October, before it was raided, Mission Local took a tour of Jhec of All Trades, the gambling den in question, and revealed how difficult it has been for the city’s law enforcement agencies to stop Jhec and other dens that seem to flourish throughout the city — namely, in the Mission, Chinatown, Excelsior and Bayview. In fact, Jhec of All Trades was raided last November, after which nine people were cited or arrested, and police seized gambling machines, thousands of dollars in cash and what the cops believed to be methamphetamine. But the district attorney dismissed all charges, pending further investigation. A few months later, the den resumed operations.